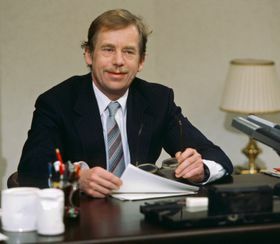 Václav Havel, writer and dramatist, one of the first spokesmen for the Charter 77 human rights movement, a leading figure in the Velvet Revolution of 1989, the last president of the state of Czechoslovakia and the first president of the Czech Republic, died on Sunday, December 18, at the age of 75. 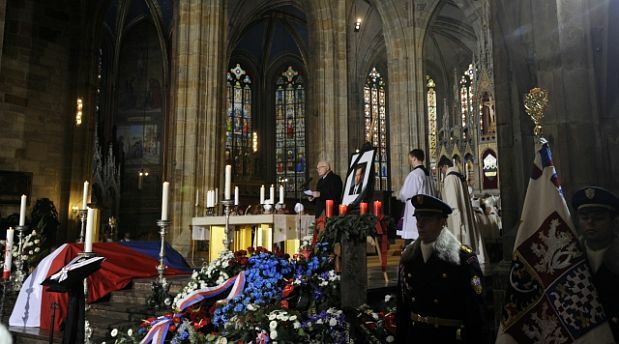 Photo: CTK Church bells tolled across the Czech Republic at noon and the nation held a minute of silence in memory of the hero of the Velvet Revolution and the country’s first post-communist president Václav Havel. 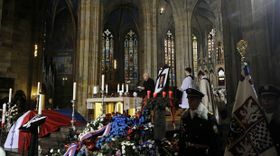 All eyes were on Prague’s St. Vitus’ Cathedral where a funeral mass for the late president attracted hundreds of mourners from at home and abroad. 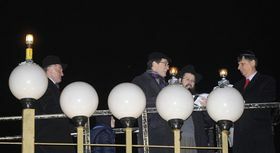 Photo: CTK The late president Václav Havel was honoured by Prague’s Jewish community on Wednesday during a Chanukah lighting ceremony in Jan Palach square in the centre of the capital. Jewish leaders, along with diplomats and the mayor of Prague, said the festival celebrates the same values Václav Havel always stood up for. 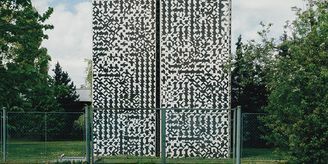 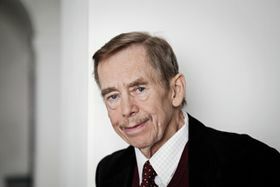 Zdeněk Lukeš When Václav Havel came to Prague Castle, it meant a complete upheaval not only of the old system of governance, but also of the way things were run at the historical seat of the president itself. 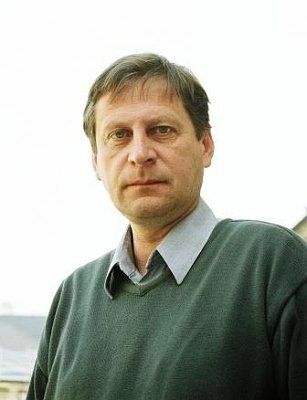 One of those who has been at Prague Castle since the very outset of that period is architect and art historian Zdeněk Lukeš, who worked closely with Václav Havel on revamping the castle and shared in the exuberance of the early administration. 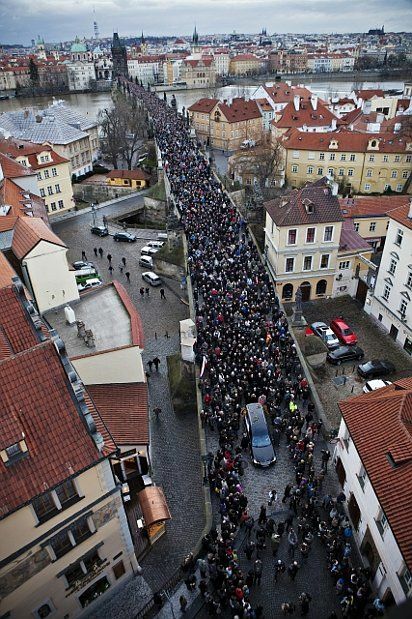 Photo: CTK The atmosphere in the Czech capital was somber on Wednesday as thousands of mourners followed ex-president Václav Havel’s casket on his final journey through Prague. 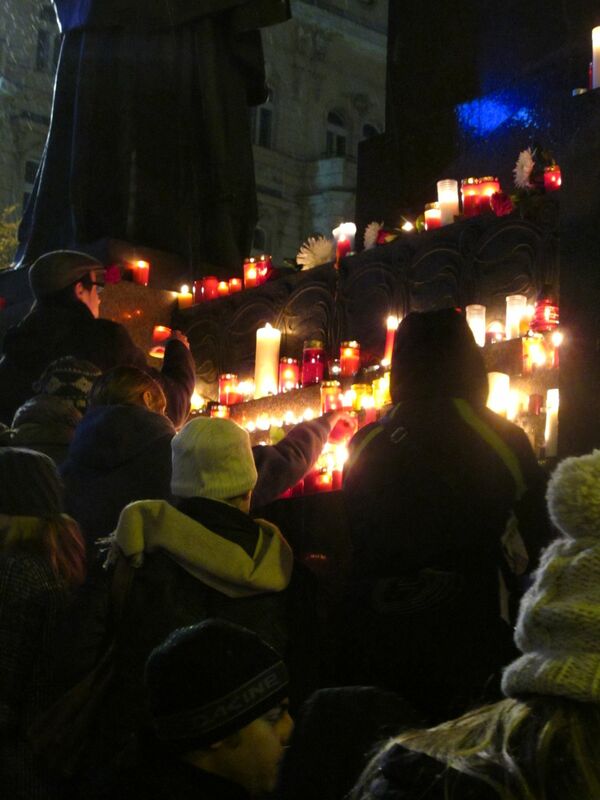 Along the entire route from Prague Crossroads in the Old Town over Charles Bridge and up to Prague Castle people lined the streets, some holding candles, others photographs of the late ex-president, paying their last respects to the man who more than twenty years ago led his country to freedom and democracy. The late Václav Havel is now being remembered as a great statesman and human rights advocate. 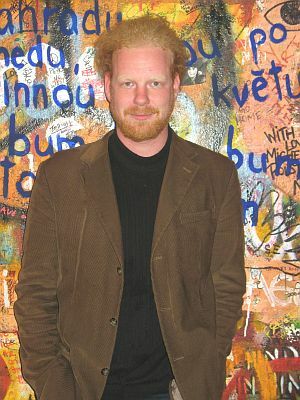 But he was also a prominent literary figure. 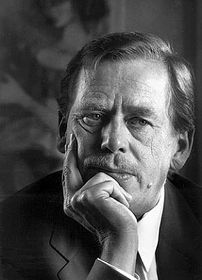 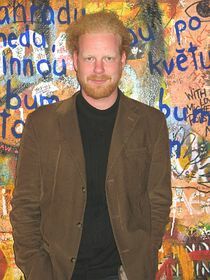 In fact, before he became an opposition leader in communist Czechoslovakia, he was already established playwright whose plays appeared on stages worldwide. 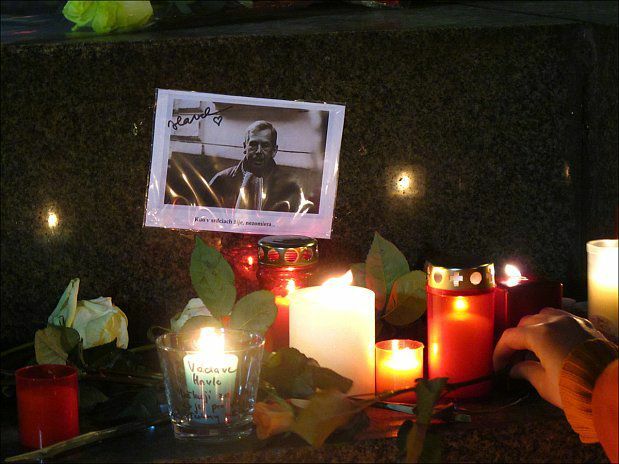 Tomáš Sedláček Continuing our commemoration of the late president Václav Havel we talk with Tomáš Sedláček, the renowned economist who, in 2001 as a precocious university graduate, came to work for Mr Havel as an economic advisor at the age of 23. In a special interview, he began by describing his first meeting with the iconic figure. 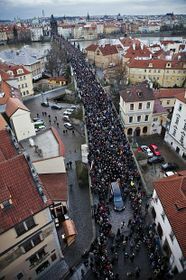 Photo: CTK As thousands of Czechs line up to pay their last respects to Václav Havel, bowing to his casket at the Prague Crossroads spiritual centre where he is lying in repose, preparations are underway for Wednesday’s funeral procession to Prague Castle, Friday’s celebratory mass at St. Vitus’ Cathedral and other commemorative events. 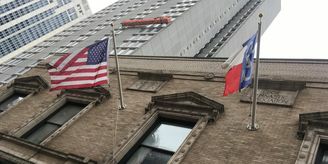 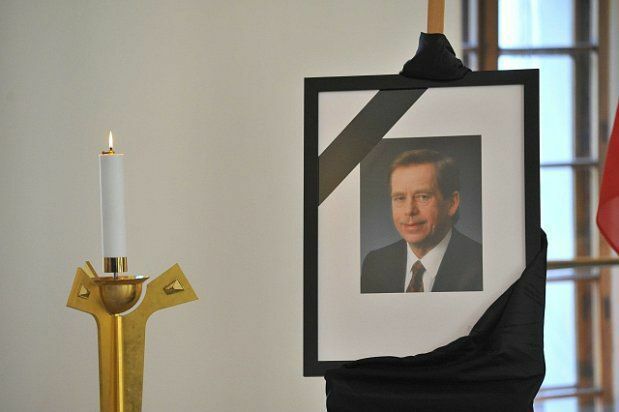 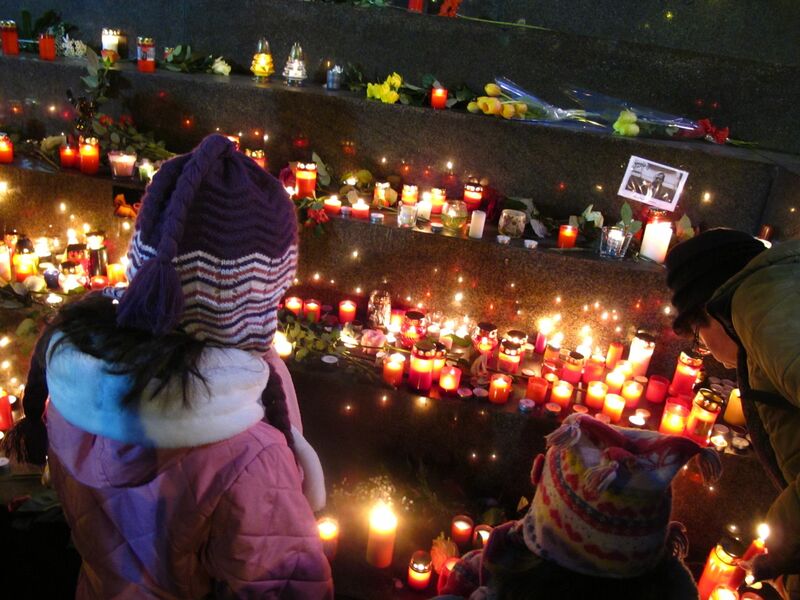 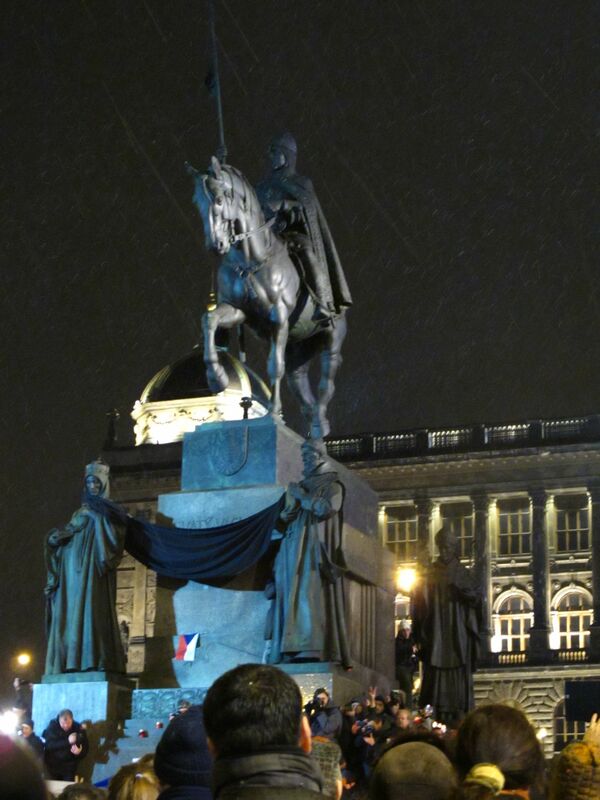 Photo: CTK The death of Václav Havel stopped Czechs in their tracks on Sunday. 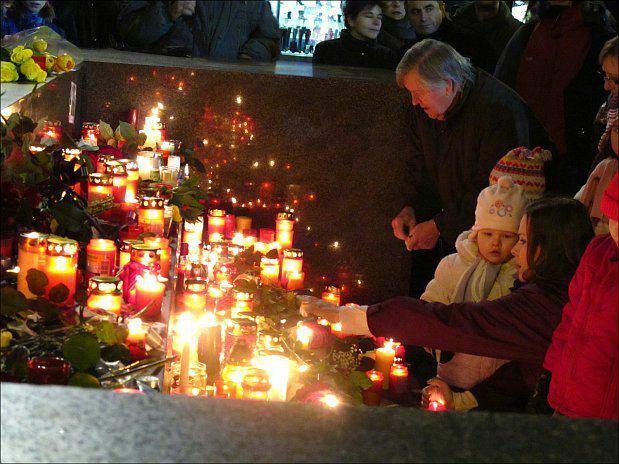 A hush fell over the country as thousands of people gathered to light candles and pay a silent tribute to the hero of the Velvet Revolution. 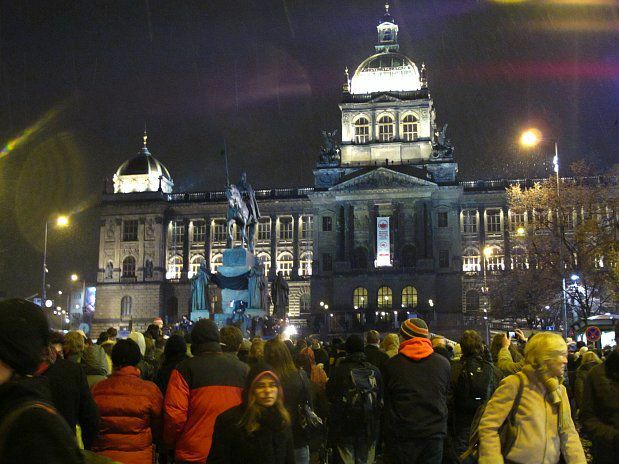 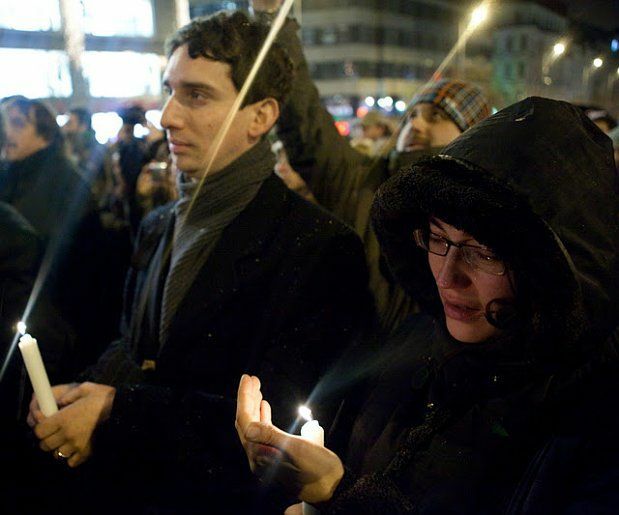 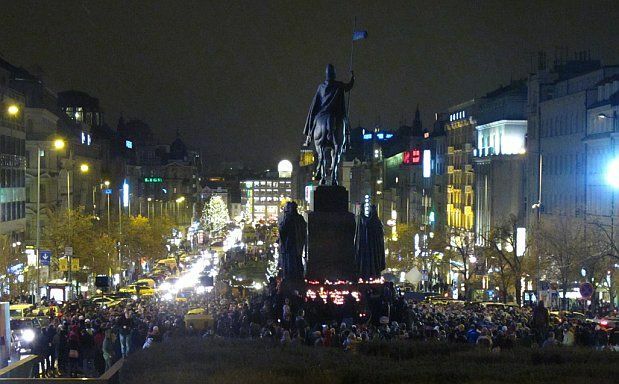 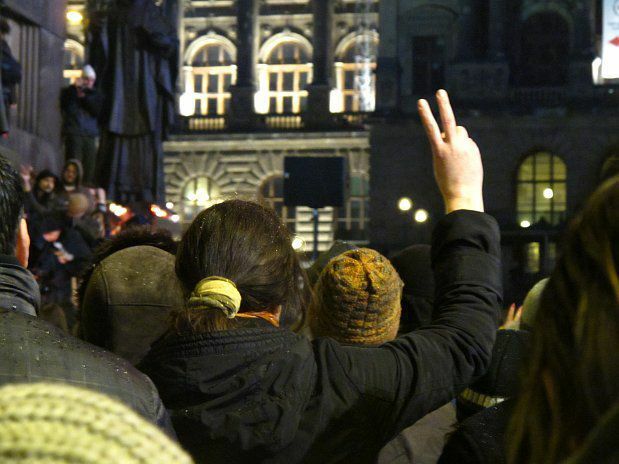 Photo: Jan Krčmář A crowd of several dozen people at Prague’s Wenceslas Square swelled to several thousand within the space of minutes Sunday evening, and the statue of St. Václav went awash in candlelight. 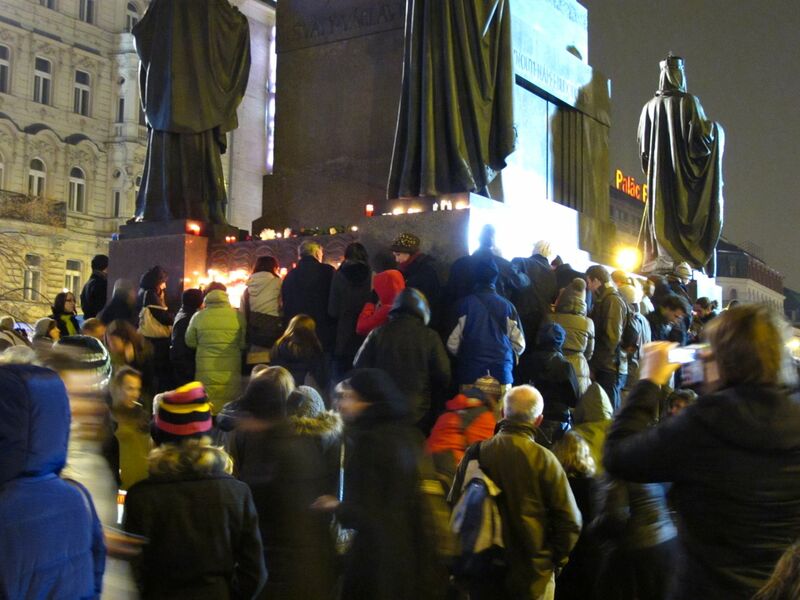 At the end of a reading of the writings of the country’s mentor in democracy and freedom, the entire multitude was silent for a long time - some weeping quietly, but most just standing speechlessly, gazing at the memorial, and looking stunned and lost in thought. 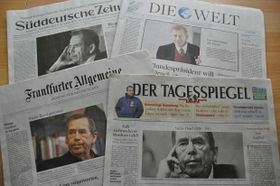 Photo: CTK The Guardian in the UK looks at President Havel in the European context. Their editorial describes the president as “a politician whose vision and wit embraced not just the art of the possible but of the impossible too”. 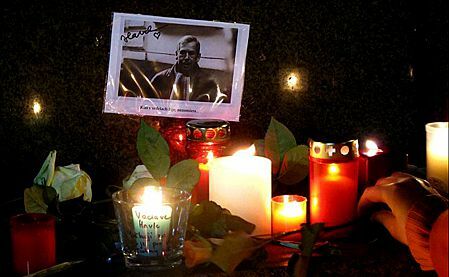 Photo: CTK People in the Czech Republic and around the world hail the late ex-president Václav Havel as a great European, a humanist and a man who stood up to the communist regime, a decent and courageous man who led his country to democracy. In this special edition of One on One, we talk to political commentator Jiří Pehe who served as Václav Havel’s chief political advisor in the late 1990s. Václav Havel was born in 1936 into a family that the communists with their love of labels used to describe as "bourgeois-reactionary". 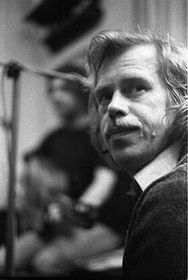 There is certainly no denying that the family was bourgeois. 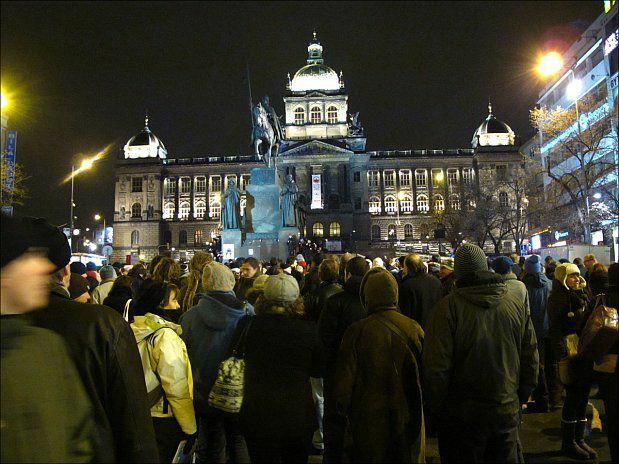 For several generations they were one of the wealthiest and most influential Prague dynasties. 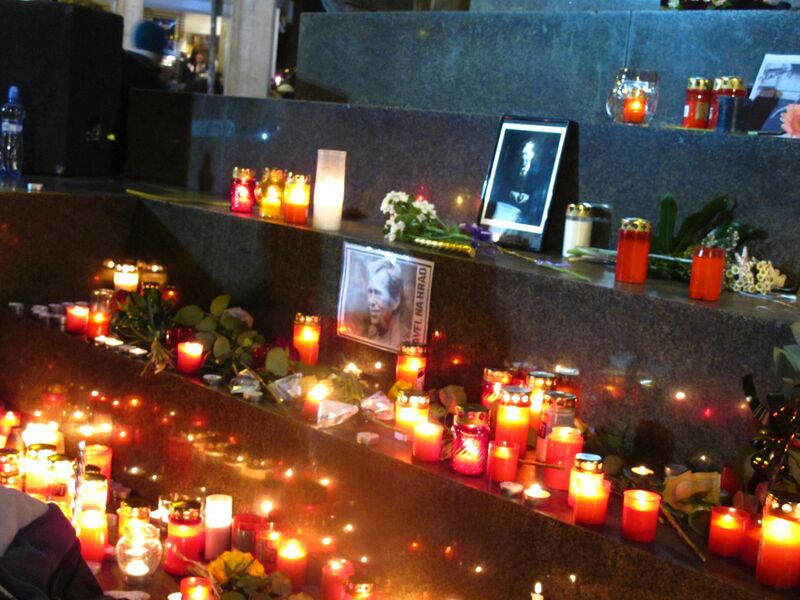 Václav's grandfather built the famous Lucerna Ballroom and his uncle was the founder of the Barrandov Film Studios, which laid the foundations for the Czech film industry. 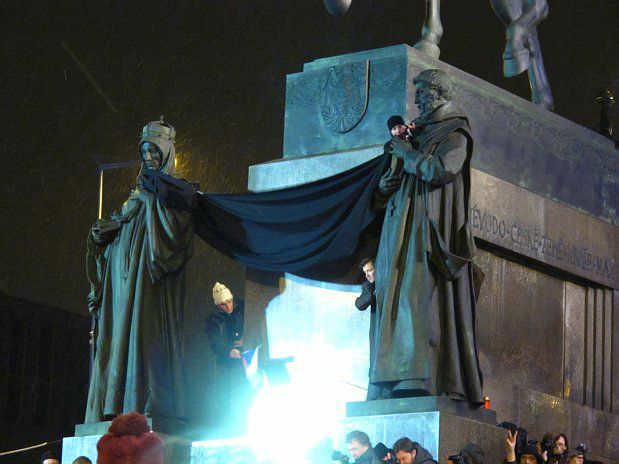 But in describing the family as "reactionary", the communists were doing the Havels an injustice.